I love gardens in Autumn after rain. There’s something about the smell of wet earth and decay that is unique to this season. Colours are more vibrant, washed clean, and overblown late summer flowers droop under the weight of droplets. 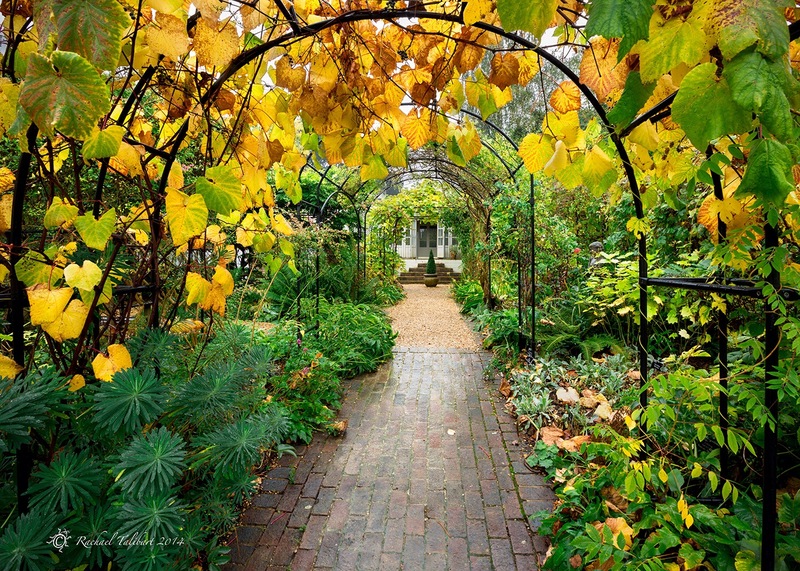 I think of the Autumn garden as rather like a dowager fallen on hard times, still making a show of things but a little shabby at the edges.